OVER the Easter weekend I headed to Bermagui on the South Coast for the biennial Four Winds Festival. In late autumn sun, 2,000 music lovers reclined on blankets and folding chairs for two marathon six and a half hour concerts. Four Winds takes place on a beautiful property donated by Carillo Ganter. It is the loving creation of artistic director Paul Kildea together with Sheena Boughen, Liena Lacey and Australia’s great artistic patron Neilma Gantner. 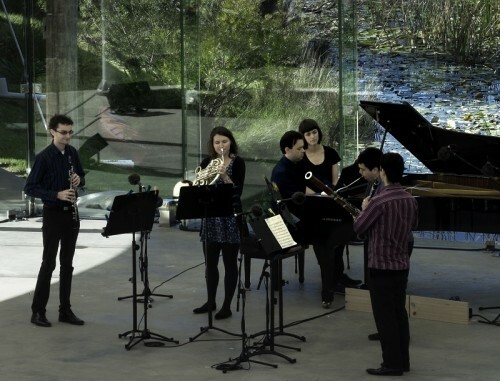 The 2014 program spanned a broad array of musical styles, from György Ligeti to Cole Porter, and featured an international cast of concert musicians. Between a sea of sun hats in front, and an expanse of waterlilies on the pond behind, performances were held in a minimalist sound shell designed by Philip Cox. The sound shell is joined this year by a new architectural structure, the stunning new Windsong Pavilion, designed by Clinton Murray in honour of Neilma Ganter. 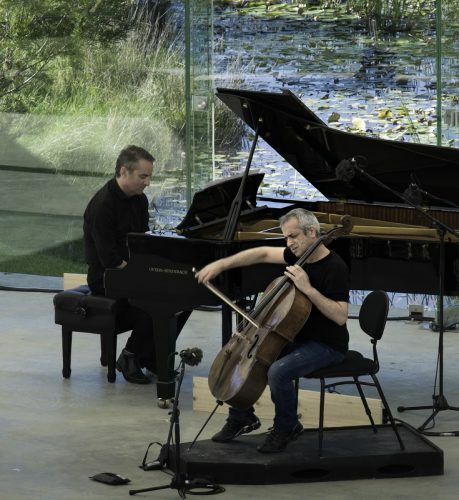 Some of the highlights of this year’s festival included the Bach-Busoni version of “Nun komm der Heiden Heiland,” performed by Paul Kildea and Giovanni Sollima. An extended piano introduction highlighted the extraordinary tones of the Overs piano, played with control and gravis by Kildea. Furious cello passages and the smooth organic motion from an undulating legato to semi-arpeggiated outbursts were skilfully executed by Sollima. The program item, “A portrait of three soloists in three cadenzas,” saw virtuosic quasi-improvisations by Richard Tognetti, Sollima and Dejan Lazic. Tognetti’s tasteful and elegant leggerio, and his lovely light bow, would be envied by most string players. Lazic’s Beethoven tribute paid special attention to stylistic devices and historical consistency, drawing rich sonorities from the Overs piano. 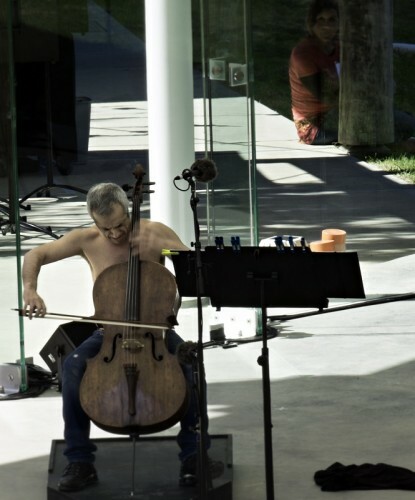 The prize for pyrotechnics, however, went to Sollima who performed shirtless and concluded by balancing his cello bow on his nose. Sollima’s cadenza was impressive for its extended string techniques and fiery doublestopped passages. Arcadia Quintet’s performances of works by Oliver Knussen and György Ligeti were also noteworthy. Both works required careful handling of unusual techniques including flutter tonguing, multiphonics and alternative fingerings. The layering of ostinati, a feature common to both works, was particularly impressive in Arcadia’s performance. Dejan Lazic’s stunning performance of Scarlatti, Liszt and Bartók was a real high point of the festival. Lazic expertly navigated exotic textures and Bulgarian rhythms in Bartók’s “Sechs Tänze in bulgarische Rhythmen” and drew shimmering textures from the piano in Liszt’s “Gondoliera.” His final Scarlatti passage was accompanied by flocks of garrulous rainbow lorikeets passing over the Sound Shell. Four Winds concluded with a stunning new arrangement of Cole Porter by composer-in-residence Kate Neal, performed by Michelle Nicolle. A number of people who had packed up and begun to leave, turned around and sat down when Nicolle’s breathtaking voice filled the space. Like a young Marlene Dietrich, Nicolle’s voice is more Bel Canto than Cabaret – an extraordinarily agile instrument capable of real pathos and artistry. The Four Winds Festival was a real delight for everyone in attendance. My only criticism was the lack of emphasis on living composers. It would be unheard of, for example, to attend a writers’ festival where most featured authors were dead – one might imagine two days of readings from Beckett and Shakespeare, with half an hour set aside for anyone still breathing. So entrenched is this practice in Australian music festivals that one might reasonably conclude that a festival of living composers may not be supported by an audience. One must also acknowledge the inclusion of a composer-in-residence at Four Winds and the very clear effort to engage with a younger audience. 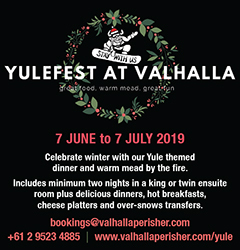 I expect this festival to continuing growing in a positive and strong direction, and would encourage anyone who loves music to set aside Easter 2016 for the next one. Hi there, photos are captioned wrongly. The pianist with Sollima is musical director, Paul Kildea.